With the advent of social media platforms and accessible smartphone devices, the world has become smaller than ever before. This has lead websites and online services to the obvious necessity of localization. Translating an entire website into numerous languages, coupled with constant updates needed to make them relevant has led many companies to concern. According to data, 62% of companies deem localization too complex and too manual to be worth their while. However, not everyone who visits your site will necessarily speak your native language, let alone make a purchase or convert of their own volition. In that respect, localization can undoubtedly affect your website’s performance for the better. Let’s take a look at several noteworthy factors in regards to improvement of conversion rates through site localization. In terms of online visibility, SEO can make or break your website. Localization plays a big part in whether or not your site will show up in search engine queries across the globe. After all, people who don’t speak German won’t find German websites on the first pages of their search results. By introducing numerous languages to your site, you will ensure that your site shows up much more frequently whenever someone searches for a term present in your industry. It goes without saying that localization opens a lot of potential for international expansion. Content in Spanish, Chinese or Greek will be attractive to people who speak those languages more than the traditional English offering. Meeting your future audience halfway through localization will raise your chances of converting them into followers, subscribers and customers. Lastly, conversion is only one of the ways in which you will be able to monetize your site through localization. Potential business partners, investors and third parties will undoubtedly take notice of your localization efforts. These stakeholders can be approached with projects and collaboration opportunities which can serve both parties equally. The more languages you have present on your site, the better your odds will become at growing and expanding your business. Once you settle on localizing your website in different languages, you should plan your next steps carefully. Make sure to choose the languages which are present in your industry without following global trends and expectations. For example, culinary blogs are attractive to worldwide audiences, but a site dedicated to Italian literature or Scandinavian folklore might not be. It’s important to go into localization one step at a time without biting more than you can chew. In that regard, opt for language-by-language localization instead of pushing several languages at once. That way, you will gradually expand your site’s content and raise the SEO ranking organically. Don’t expect results to come overnight and give the localized content some time to breathe before it begins to attract new leads. When it comes to SEO, it’s worth noting that all of your languages should be optimized individually. It’s only logical that English keywords don’t hold much levity in Japanese or French translation of the same words. Platforms such as SEM Rush and Google Adwords are great tools in terms of keyword optimization and trend research. Use their databases to determine the best course of action for your content’s SEO localization. Avoid DIY keyword optimization, especially without an in-house writer and translator onboard. 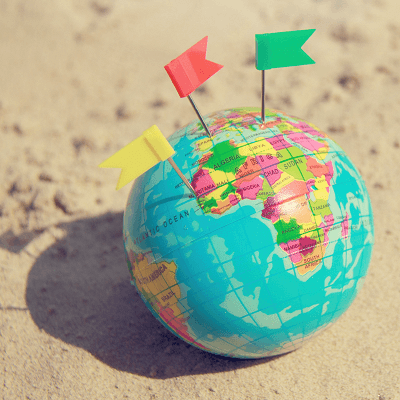 Once each language is optimized in its respective way, your site will show up in local search pages across the world depending on the language in question. Failing to add this important ingredient to your localization process will make the entire translation effort in vain as a result. No matter the care and effort you put into your content’s localization, it will all be in vain if it doesn’t display properly. Depending on the CMS you use for your website, you should change the text encoding to reflect your recent localization efforts. Alphabets in English, Greek and Chinese vary drastically, especially if you add even more languages such as Russian and its Cyrillic lettering. Unicode text encoding formats such as UTF should be enabled on your site as soon as the first additional language hits the live server. Don’t make the mistake of placing localized text on your language domains without the encoding it requires to show up at all. Partial localization doesn’t make much sense in the grand scheme of things. Audiences who visit your website from abroad will expect the same level of quality and curation as your native followers. This means that you should be prepared for site-wide optimization and ongoing localization of every new piece of content. It’s often a good idea to consider outsourcing a part of your localization process to a third-party service since it will be difficult to maintain the pace internally. However, once you begin publishing content in different languages in parallel, your conversion rates will see a considerable rise as opposed to the previous, single-language content creation. It’s important to distinguish translation from localization in terms of content optimization. Translation represents direct, technical translation of original content into another language. Localization on the other hand takes cultural, social and lifestyle choices of the target audience into consideration. This is highly important in terms of boosting conversion rates since you don’t want to alienate someone based on accidental confusion. Every image, video or audio piece of content on your site should be localized as well. This is important for ecommerce sites and company fronts above all else. Blogs usually use images in terms of adding visual fidelity, while the former rely on images much more directly. Any chart, infographic or demonstrative piece of content must be localized based on the previously chosen languages. That way, no visitor will be left out and be able to engage with your products and services fully like everyone else. Localization also requires the presence of multilingual customer support to be present on your site. For example, a German customer might have a problem and your French support agent might not be able to help them due to obvious reasons. If you don’t have the resources to hire in-house agents, chatbots offer a great alternative to the problem. While not as comprehensive as a real-world agent, chatbots can indeed help your localization by communicating on your behalf in dozens of languages. As mentioned previously, localization isn’t a “one-and-done” affair. You will constantly have to monitor your site’s performance for potential bottlenecks and needs for additional languages. However, the role of localization in your conversion rates is obvious from the get-go, meaning that the time and resources invested in the process won’t be wasted. Approach localization with an open mind and you will be surprised with the amount of options it presents to your website in terms of growth and expansion opportunities. Posted November 29th, 2018 in Misc. Tagged: international, languages, localization, seo, translation.